About 3,500 armoured vehicles 1945-2016. After three years of brutal civil war that left vivid scars up to this day, Spanish tank development was still ongoing when world war two erupted, despite a strong neutrality and Hitler’s approaches to try to bring Franco into the axis. Hitler’s desperate attempts all but failed, the last meeting at Hendaye in 1940 only left him to declare “I would rather pull out all of my teeth than trying this again”. Spain had in 1944 an ongoing domestic tank program started in 1939, the Verdeja, and received many German tanks before the end of the war. In addition from 1945 to 1954, there were 22,000 officers, 3,000 NCO and almost 300,000 soldiers in service but equipment and training were still lagging behind experienced armies during ww2. Spanish M60 at El Goloso. Nowadays, only specialized CEV versions are kept by the Army and a small number by the Spanish Marines. Conservative Spain of the 1950s was naturally opposed to the Soviet block and negotiations with the USA led to a de-facto military aid program agreement. However Spain joined only NATO in 30 May 1982 after the change of regime to a democratic one. 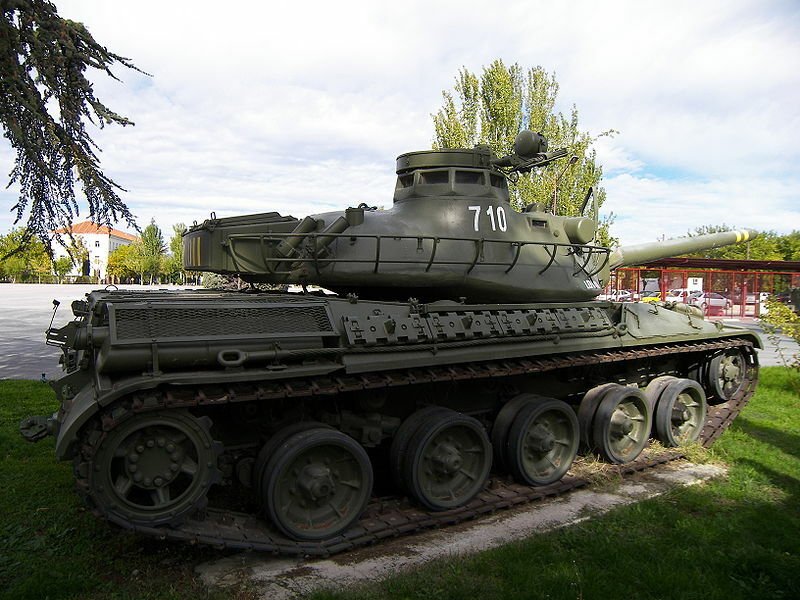 After the initial aid program, Spain received relatively larges supplies of M47 and M48 Patton tanks. These were however assorted with a condition not to be used in the war with Morocco. Franco then thought to acquire tanks from other sources. Negotiations with Germany failed and its constitution did not allow exports to undemocratic countries but eventually succeed with France. The third MBT type to enter service (also used in Morocco) was the AMX-30, built under licence as the AMX-30E. For the infantry, situation also improved with assistance received from Washington and 300 NCOs trained in the USA on a yearly basis. With the Barroso Reform (1957) a US-based Pentomic structure was adopted for the Army. Three experimental Pentomic Infantry Divisions were created the following year, five more in 1960, plus four mountain divisions. Pentomic structures were raised in 1957 in the US due to the perceived threat posed by tactical nuclear weapons use on the battlefield and comprised airborne, armoured, and infantry units integrated into five subordinate units. 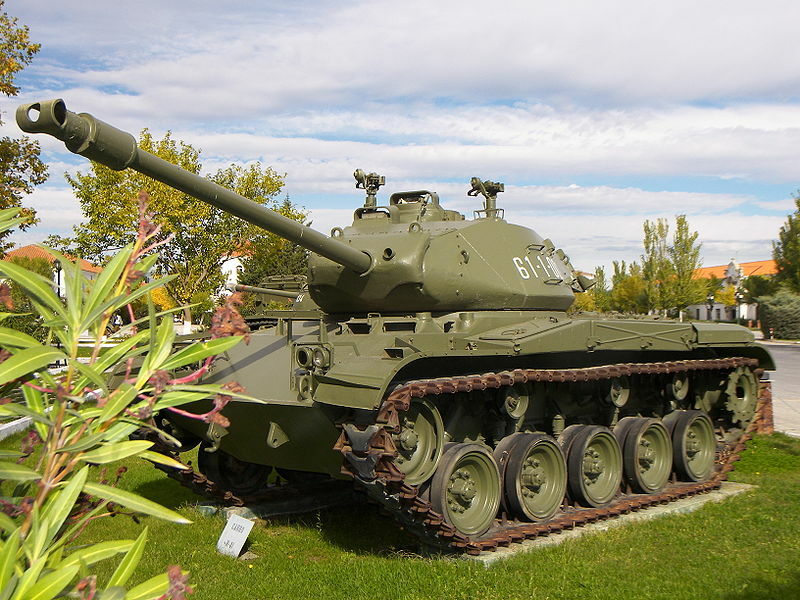 With the Menéndez Tolosa Reform in 1965, Spain began to adopt the contemporary French organisation and Doctrine of the era, perhaps mirroring the adoption of the AMX-30 as its new MBT. The Ejercito was divided into a Field Army and a Territorial Army, the former being well-trained and equipped for immediate interventions, including abroad. The IIF (FA) was to answer critical sectors such as Gibraltar and the Pyrenees mountains border. The field army comprised an Armoured Division (two Brigades), a Mechanised Division (same), a Motorized Division, a Parachute Brigade (1973), an airborne Brigade, and Armored Cavalry Brigade and Army Corps support units. The ODF (TA) units of the territorial army was in charge of maintaining security, reinforcing the Civil Guard and assist the police in anti-terrorist duties. It comprised 9 independent TA Infantry Brigades, 2 Mountain Division, 1 Mountain Reserve HQ, the Island TA and General Reserve Command. Transition after the death of Franco to the Spanish King Juan Carlos led to a progressive but resolute set of reforms. Culturally the movement was also known as the “movida”. The Army was concerned from 1977 on (single ministry of defence), and standardization needed to access to NATO in 1982. The META modernization plan set until 1988 was to affect military regions, reduced in the mainland from 9 to 6, the IIF (FA) and the ODF (TA) commands merged into a single structure, the total number of brigades being reduced from 24 to 15 and personal reduced from 279,000 to 230,000. The “Lynx” was an attempt to replace its ageing M47E and AMX-30E (built under licence) in service by a more modern tank in the 1980s. Both the M1 Abrams and Vickers Mark 2 were also proposed in purchase but licence production was refused. 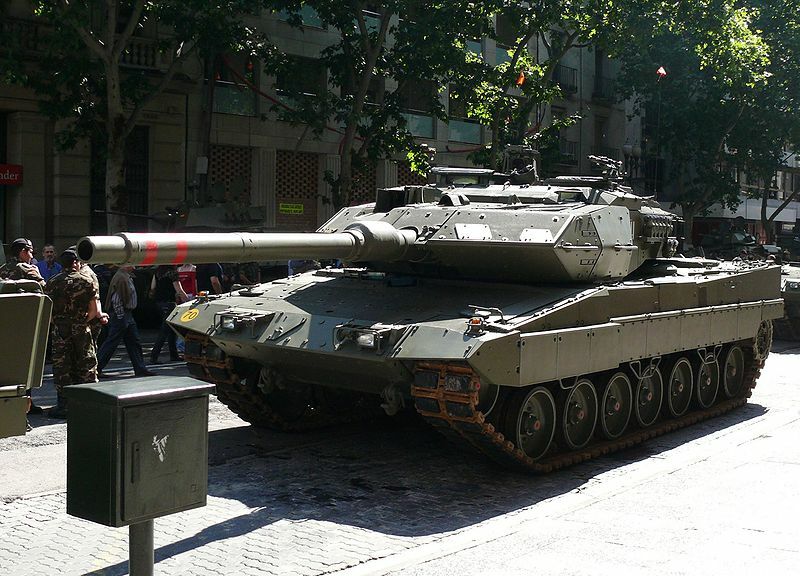 Eventually, the Spanish government obtained collaboration from KMW, the makers of the Leopard 2 and 120 Billion Pesetas were granted to the Lince MBT project in 1984. 200 Billion were added in 1987, and a single working prototype was tested but eventually the whole project was cancelled in 1987 when it was decided to modernize the AMX-30 into the EM1/EM2 versions and purchase cheaper M60s in complement. The Lince is a quite shadowy tank, with no blueprint, just a single photo and low resolution profile being available on the net. It was in fact very close to the Leopard 2A4 type, but with some substantial differences tailored to Spanish specifications: First, the Lince was lighter at 49 tons, compared to 55 for its German counterpart. It was propelled by a MTU MB 871 Ka 501 V12 diesel with 1200 hp for about 24.5 hp/tonne. It had the same Renk automatic transmission. It was faster than the Leopard 2 yet with advanced composite armor. Prospect for production was to add spall liners, NBC system with overpressure, automatic Halon fire suppression system, and belly escape hatch for crew safety. Ammunitions were stored in the turret bustle with blow-off panels. The Lince MBT was armed with the same NATO-compliant Rheinmetall L/44 120mm smoothbore and two secondary machine-guns, either GMPGs or MG3s. Estimated price was to be around $1.5 Million apiece. Eventually Spain chose to participate instead in the development of the Leopard 2, and purchased 108 2A4s (at first in leasing). This would led to the procurement of 220 Leopard 2E (Leopard 2A6). Despite modernization, the abandon of the Lince program led to a first prospect of replacing the M60s and modernized tanks with a new domestic or semi-locally assembled model, in 1994. The Programa Coraza 2000 (Program Armour 2000) was set up by the MoD. Negociation started with Germany which at first proposed to sell refurbished Leopard 1s and ex-soviet models standardized, but the offer was rejected and instead 108 Leopard 2A4s were leased in late 1995s to evaluate and train personal for a future local production of the Leopard 2E for a five-years period. The final Memorandum of Understanding of 9 June 1995 saw the leasing transformed as procurement for 16.9 million euros, and a licence production for 219 Leopard 2E, based on the latest 2A6 version. The latter were procured in 2003-2008. The other programme was to replace the AMX-30s in service with 84 B1 Centauro wheeled tank hunters acquired in Italy. An important move for the Army was also to abolish service for conscripts in 2001. Other changes of structures were helped by increasing participation in multinational peacekeeping operations. This was accompanied with the RETO plan (1990), NORTE plan (1994) and Instruction for Organisation and Operation of the Army (IOFET) in 2005. By 2008 the Spanish Army personel is reduced to 75,000. 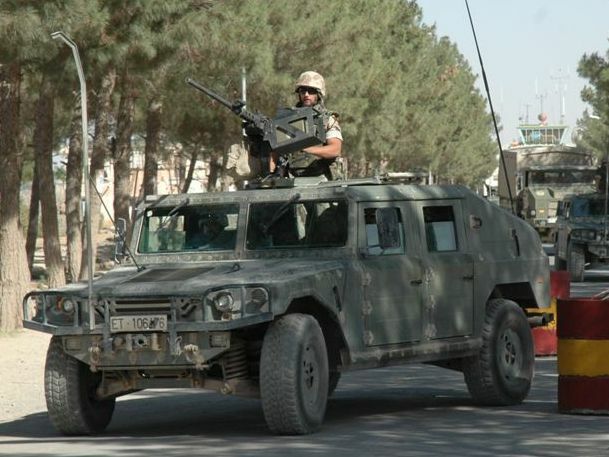 Howver some 80,000 Civil Guards are under supervision of the Ministry of Defence command and could be trained/equipped quickly in case of a full mobilization. 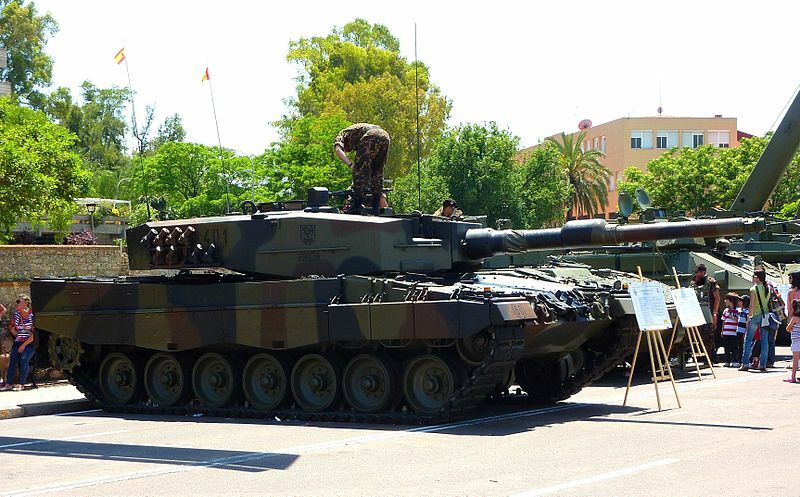 Perhaps old Habsburg ties contributed to the Austrian Spanish Cooperation Development (ASCOD), the latest and most interesting armoured development In Spain recently. Although the Pizarro is not a fully fledged MBT, but an IFV, it’s a good step in the direction of further, more important developments. The Pizarro was meant to replace older fleets of APCs and IFVs like the M113s. Indeed Austria also equipped with Leopard 2s needed also a complementary vehicle. First 1992 prototype preserved at El Goloso museum. In Austria, this IFV is called Ulan. According to the final agreements and industrial structures, the hulls are manufactured in Spain, and the turret and some sub-equipments by Steyr in Austria. The first prototype was presented in 1991 in Sevilla and tested by 1992. Production started by 1996 but the Pizarro did not entered service before 2002. A sound design, the Pizarro has been since also ordered by the UK, for the common base Ajax (Scout SV). Leopard 2E Locally-built version of the Leopard 2A6. 308 had to be procured to the Ejercito according to the 1995 agreement with Germany’s KMW company. All were to be assembled with at least from 60-70% locally-provided parts and assembled by Santa Bárbara Sistemas from 2003 to 2008. 219 are in service today. 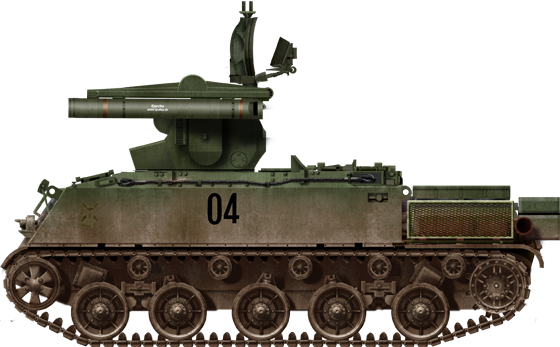 Spain decided at some point indeed to get involved in the Leopard 2A5 development that led to the 2A6, a cheaper alternative to the Lince. Leopard 2A4: 108 formerly leased and eventually procured according to the 1995 MoU with Germany, and the European need for a common fast reaction unit. M60 In the early 1990s, Spain received from the US a complement of 244 M60TTS to supplement its ageing fleet of M48/M47 and AMX-30EMs, out of a total of 300 M60s of all variants. An upgrade by Santa Barbara consisting in a local reactive armor (SaBBliR, Santa Barbara Blindaje Reactivo, also developed for AMX-30s) was envisioned. But in the end, no M60 was modernized, the Leopard being adopted instead. 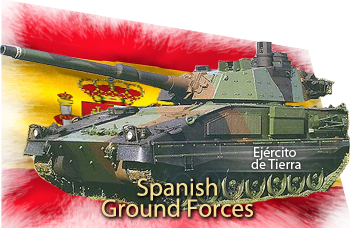 As of today, the Spanish Army retains specialized variants, 38 M60CZ-10/25E, 12 M60VLPD-26/70E and the Infantería de Marina 17 M60A3TTS, the others are in reserve. The M60CZ-10/25E Alacran is a combat engineer variant conversion. B1 Centauro tank hunters. 84 were purchased back in 1999-2001 and 2004-2006, and given to three reconnaissance regiments batches in 1999-2001 and 2004-2006. They are in service with three Reconocimiento de Caballería “Pavia”, “Lusitania” and “España”. They replaced the AMX-30EM2s. In 2009, a cavalry regiment was sent reinforcing the Spanish contingent of UNIFIL in Lebanon. AMX-30E Here a modernized AMX-30EM2 (Note: Incorrectly illustrated with a coaxial 20mm gun). The AMX-30E was built by Santa Barbara Sistemas but had to cope with reliability issues linked to its original engine and transmission. The modernization was decided after the abandon of the Lince programme in 1989, a modernization programme was geared up, with 150 AMX-30Es being fully upgraded. Modifications included a new APFSDS round, modification of the turret hatch ton install a cal.50 HMG or similar heavy weaponry, and a locally developed fire control system. Moreover the original engine was replaced by a MTU 833 Ka-501 diesel engine (850hp/630 kW) coupled with a ZF LSG-3000. A new smoke generator was also installed. The remainder 148 AMX-30 were modernized less extensively as the AMX-30EM1s with American Allison CD-850-6A three speed transmissions, but were replaced early on with M60s. M48E Patton Modernized version of the M48 Patton. In total, 164 M48A5E were retained in service until the 1990s. By the 1990s indeed both the M47E and M48E were nearer to the M60 in terms of capabilities. M48A5E: 1978-79, M48A5 variant, 105 mm gun with M17B1C optical rangefinder. M13A4 ballistic computer, IR/white light projector over main armament. M48A5E2: 1981–1983. Hughes Mk7 DCS with laser rangefinder, solid state ballistic computer, passive IR vision, Urdan cupola. 164 upgraded to this standard, retired in 1997. M48A5E3: (1991) Prototype only with thermal sights, main gun full stabilization, program cancelled in 1993. M47E Patton Modernized version of the M47 Patton. 22 M47ER3 ARV based on M47 hulls were modernized in 1992–94 and are currently used as recovery vehicles in artillery and infantry units whereas the regular serie is long discarded or only maintained for spare parts. M41E Light tank acquired in the late 1950s upgraded to the M41A3 standard: Their engines were upgraded to fuel injection. 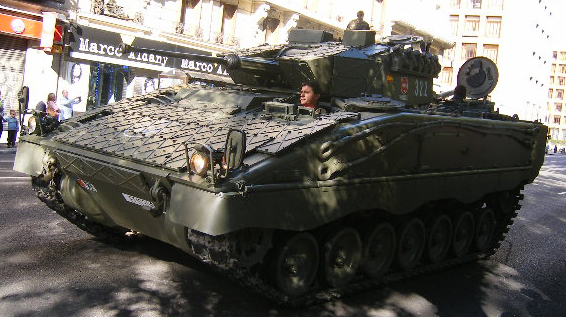 ASCOD Pizarro Spanish standard IFV. So far 354 are in service. 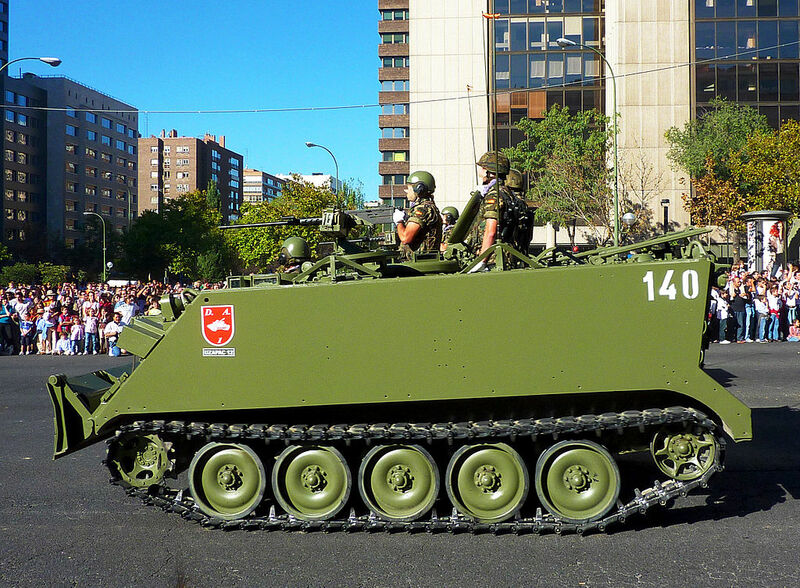 M113 Spanish M113 APCs. 500+ are retained in service in several variants. M109 Spanish M109A5 self-propelled artillery systems. Today, 96 are in service. Pegaso BMR/M1 Spanish main wheeled APC. Pegaso is a major Spanish truck and vehicle manufacturer since the 1950s. Following a introduction in 1979, the Pegaso 3560 BMR was defined as a fast wheeled 6×6 APC. So far it has also been developed into a dozen variants and exported to Egypt (260), Mexico (7), Peru (20), Saudi Arabia (200), and Morocco (100). The model was so successful that it became instrumental for all external peace keeping interventions of the Spanish Army. It also was chosen as the basis for the Austrian Pandur I. 648 are currently in service with the Ejercito. URO VAMTAC Spanish equivalent of the Hummer manufactured by the UROVESA consortium, provides the bulk of light APCs with more than 1,500 provided so far since 1998. It was also exported to 5 other countries and evaluated by 2 more. Roland Spanish Roland SPAAML. 18 were manufactured under licence as the AMX-30RE. 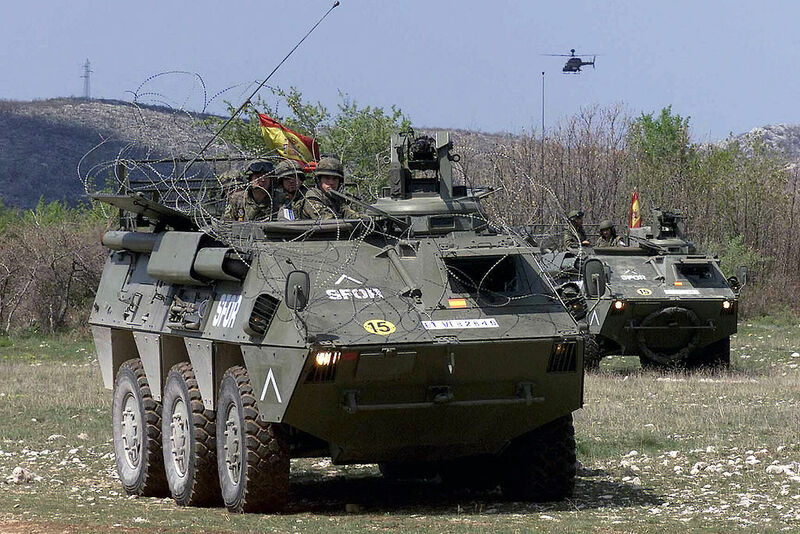 Also for remote, mountainous regions, the Spanish Army currently operates 90 Bandvagn 206 articulated APCs. Light infantry/recce means are provided by 500 Italian-built Iveco LMVs, while 180 South African RG-31 MRAPs were produced for service in Afghanistan and has been purchased since. Also 1,500 all-purposes Santana Anibal unarmoured all terrain 4×4 utility vehicles were procured (the company was liquidated since). These are essentially similar to the Land Rover models of the 1980s.